This past November, the American Heart Association and the American College of Cardiology issued new guidelines for when high blood pressure should be treated. For the first time in 14 years, there’s no more “prehypertension”. 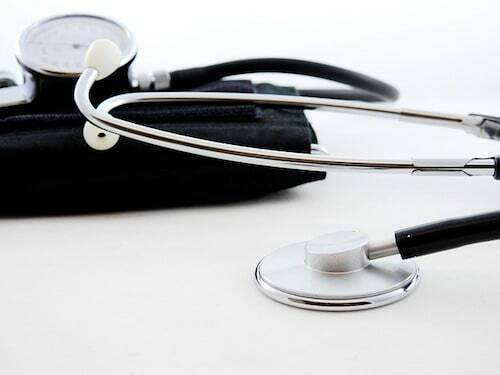 If your blood pressure is running over 130/80, you officially have high blood pressure. I never gave much thought to my blood pressure. It’s always been spot on at 120/80 or a little bit lower (normal). But like the rest of the world, I’m getting a bit older, and I’ve been dealing with some stressful stuff in my life recently, and apparently, it’s starting to affect my blood pressure. Not quite enough to require medication, but I do need to keep an eye on it. Needless to say, I’m pretty upset, because I’m one of those people who eats well, exercises most days, I’m not overweight, and I do all the right things to stay healthy. Unfortunately, I’m also very much of a “type A” personality, so I get stressed easily, and I let too many things bother me. High blood pressure, or hypertension, is the leading risk factor for heart disease and stroke. Damage to your blood vessels occurs every time your pressure is elevated. The new guidelines are meant to make people more aware of that earlier. It’s their hope that more awareness earlier can help prevent the damage that would occur if you waited for a later diagnosis. As a dietitian, I’m all about lifestyle changes first, and medication only if necessary. 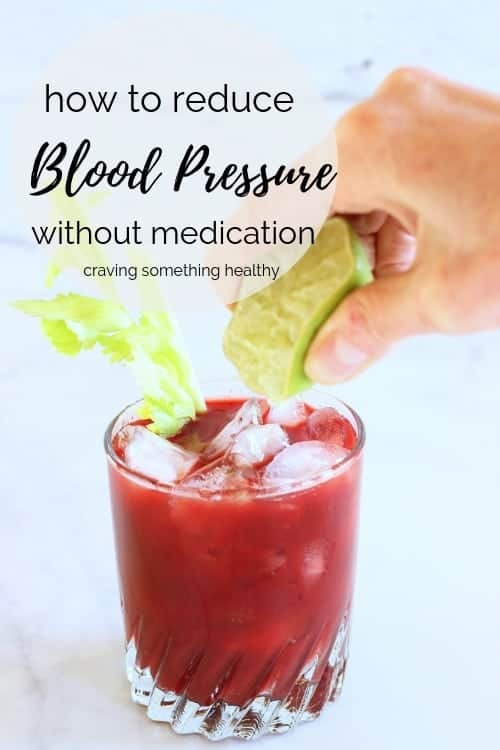 Like all meds, blood pressure medications come with their side effects, so it’s always worth it to work on diet, exercise and stress management first. Even if you only get a partial benefit from these things, it may mean less medication or one with fewer side effects is necessary. Take 3,000 mg of an omega-3 fish oil supplement each day, especially if you don’t eat fatty fish like salmon or sardines twice each week. That’s probably more fish than most of us consistently eat, so the supplement can cover you. The Omega-3 fats EPA and DHA found in fish can reduce inflammation along with your blood pressure, which reduces your risk of heart disease, stroke, and lots of other inflammation-related diseases. Limit salt or sodium. If you’re eating more fruits and vegetables, you’re already taking a positive step toward reducing salt, because they’re naturally low in sodium. Sodium is found mainly in processed foods – anything that comes in a package, can, or especially from a fast food restaurant. If you’re over 50, or at higher risk, aim for no more than 1,500 mg/day. Check your food labels for sodium content, and use an app like CalorieKing, or MyFitnessPal when you’re eating out. If you see that afood has more than 400-500 mg in a serving, see if there’s a better option. Take an adrenal support supplement. I love this stress response herbal supplement by Gaia Herbs. It’s a blend of Holy Basil, Rhodiola, Ashwagandha, and Schisandra which helps to support a healthy response to stress. Exercise at least a little bit every day. Aim for a good 45 -60-minute cardio workout most days of the week, along with 2-3 days of strength training. On days when you can’t fit that in (because life happens), try to build more activity into your day by parking further away, taking the stairs instead of the elevator, or even just doing a quick sprint or two up and down the block. Every little bit helps. Get plenty of sleep. It goes without saying that when you don’t sleep well, you don’t feel well, and your body just doesn’t work well. Check out this post for my tips on getting a good night’s sleep. Eat lots of nitrate-rich vegetables. Not to be confused with the very unhealthy nitrates and nitrites that are found in processed meats (it’s SO confusing, but this article helps to explain the difference). Nitrates and nitrates from vegetables help to relax and dilate blood vessels throughout your body and increase blood flow. Although it’s a short-term effect, eating more nitrate-rich vegetables like beets, cabbage, leafy greens, and vegetable juices, can reduce blood pressure for a few hours. Eat these foods every day, and you’ll get regular benefits. One of my favorite ways to get a big nitrate boost is with beetroot powder. Add a scoop to vegetable juice or mix it with water and drink up! 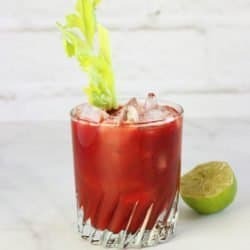 I created this vegetable juice recipe, which is full of nitrate-rich veggies and anti-inflammatory ingredients. It actually tastes quite a bit like a bloody Mary (without the vodka, 🙁 unfortunately 🙁 ) and I’ve been drinking it as my afternoon snack each day. Last time I had my blood pressure checked, it was normal! Give it a try and see if it helps you. Do you like beets? Personally, I think they taste like dirt, but when they’re mixed into this drink they’re totally delish! Here’s an Amazon link to the beetroot powder I like. If you try this recipe, leave a comment below and let me know if you liked it – or tag me on Instagram @CravingSomethingHealthy or #CraveSomethingHealthy! My doctor has me on blood pressure medicine and It makes me feel awful . Would like to know what kind of juice I can drink to lower my blood pressure . I use a tablespoon of dried beet root powder mixed in with low sodium V-8, or plain carrot or tomato juice and it works for me! Just make sure the juice is low in sodium. What a fantastic piece on what we can do to help keep our BP in check. Your juice looks delicious and even without the vodka, I can only imagine what a refreshing beverage you have created here; great job! Am John Chedi and MA wife is 4 month pregnant, the problem is she has a Low blood pressure. What can I do to her natural fruits or food to maintain Normal? Lower blood pressure is actually pretty normal in the first half of pregnancy. It usually comes up on its own in the third trimester. I would say make sure she’s getting enough fluid, but other than that, it doesn’t have to be treated unless it’s really low or causing her to be dizzy or faint. In that case, check with the doctor! For some people, adding more salt raises blood pressure but it’s not healthy to do that and high blood pressure is much more dangerous in pregnancy than low blood pressure. Hope that helps! Thank you for this great inspiration. I was diagnosed with high blood pressure last week and put on BP medication. So totally new to this life changing event , I have a strong determination to get off of this pill. My question is.. is it safe to get on a stick diet and additives while being on BP med.? Thank you for any information.